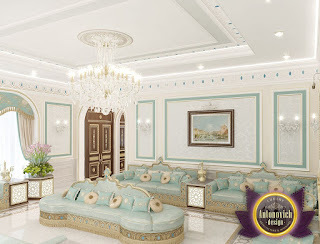 Interior design concept of majlis based on a combination of modern classics, oriental style and modern. Splendid design solution was to organize the space of the room. 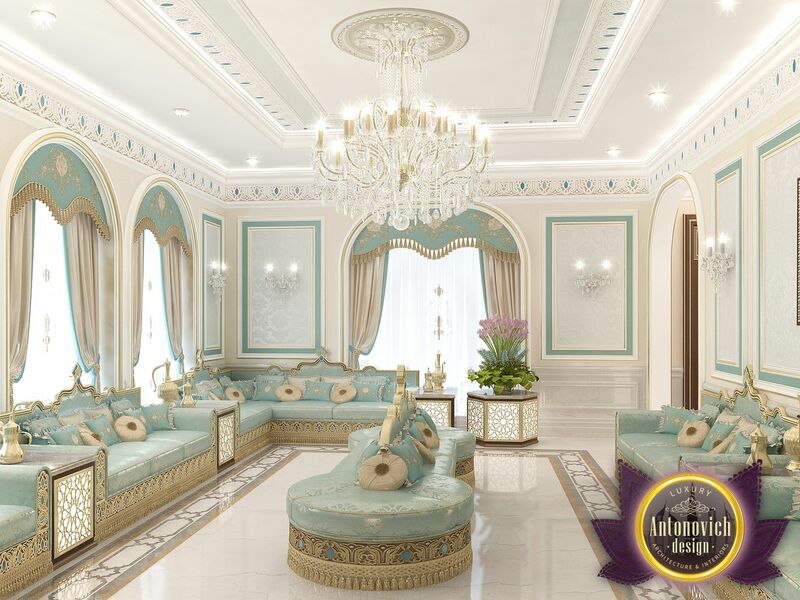 Living room design can be attributed to a single direction of design art. This room in the house or apartment should be fully express the status of home owners, their taste, understanding of beauty and hospitality. Eastern Interior room is impressive lavish décor. 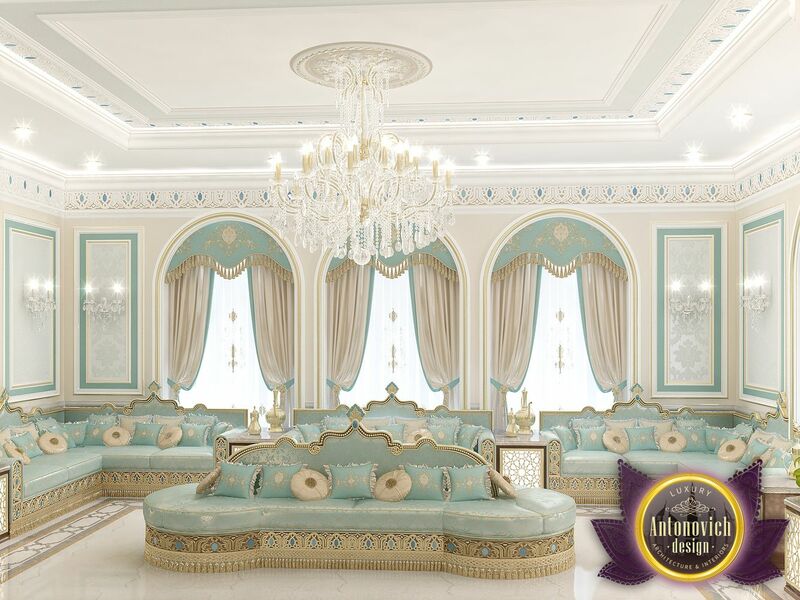 Curtains made of noble silk embroidered beautifully with upholstered furniture. Carved marble floors emphasize the elegance of natural composition. 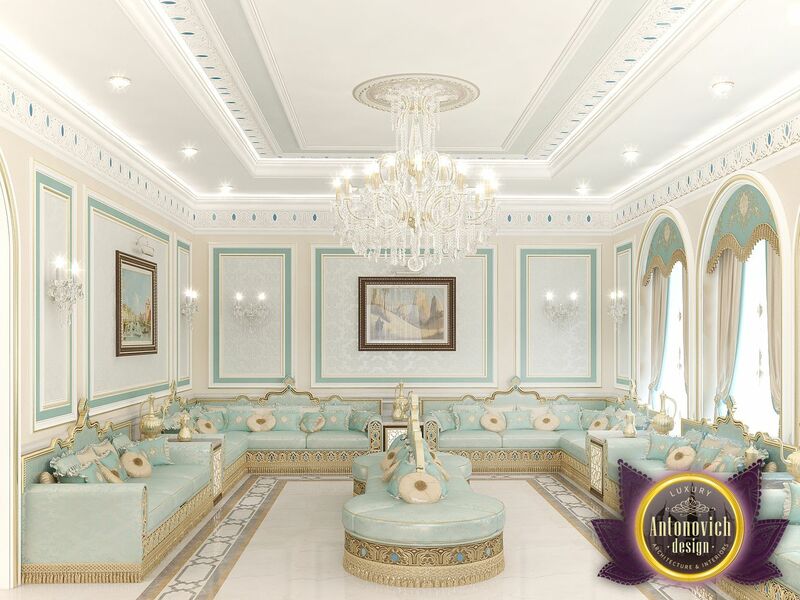 The paintings on the walls and ceiling restrained decor reflect the best trends of the classical style. A further highlight of furniture complements the interior bright festive mood. 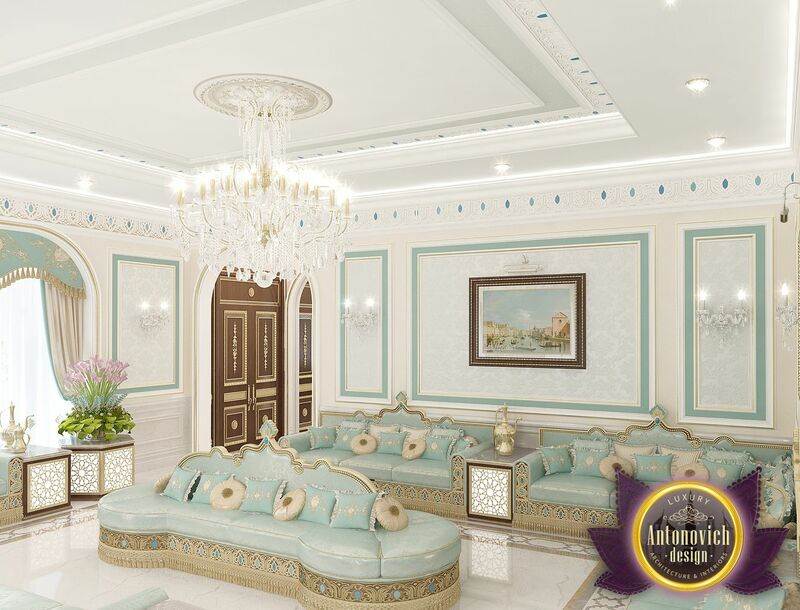 Interior design of Luxury Antonovich Design determines the future of the beautiful art of luxury and comfort.